The best thing about Sade Adu is also the worst thing about Sade Adu: her near fanatical commitment to consistency. There's no difference between vintage Sade and contemporary Sade. She's the antithesis of the snowfall cliché: with Sade you always know exactly what you're going to get. 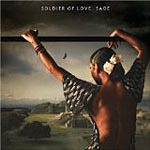 Soldier of Love is Sade's first album in a decade, and only the sixth by the group in 25 years. Flooding the market with material is not a crime Adu can be accused of. However, while this is a new album it's the same sort of music Sade has been making all along. Sade personifies the aspiring artist who grew up listening to Joni Mitchell's Blue (Reprise, 1971) one time too many and came away with the impression, "Aha, that's how you convey pathos." But Sade is no mere copycat. She likes to keep her music simple, sparse and unadorned with trappings such as guest superstars or cover tunes. For better or worse she just continues to go her own way, releasing new records only when she feels she has something to say, and an iconoclastic disdain for (and refusal to acknowledge what) anyone else considers, hip, hot and happening. It's that cool detachment that gives Sade whatever jazz cachet she has, but you couldn't find a less likely jazz singer. It's her lack of concern (or is it contempt) for the prevailing trends of pop music that enables the group to retain its jazz pass. Sade is as unlikely to resort to Auto-Tune or other studio trickery heard from artists like Dianne Reeves and Wynton Marsalis, even if she has little in common with these genuine jazz artists. Soldier of Love seems longer than its tidy 41 minutes. It might be because, even on the mid-tempo songs like the title track and "Babyfather," neither Sade Adu the front woman or Sade the band swing. But then, you don't buy a Sade album because you want to dance. You buy a Sade album because no matter how bad your day's been, hers has been worse. A lot worse. "Put me on a plate with petals and a fire/and send me out to sea/Turn my angry sword against my heart/and set me free," she croaks on "Bring Me Home." Who's the louse that keeps ripping out Sade's heart and spitting in the hole? It gets even worse for her on "The Moon and the Sky: "You lay me down and left me for the lions/A long, long time ago/You left me there dying/But you'll never let me go." Despite the morose mood, Soldier of Love is still an improvement over Sade's listless predecessor, Lovers Rock (Epic, 2000). But loading up a multi-disc CD player and hitting "shuffle," there isn't much difference between Diamond Life (Epic, 1984) and Solider of Love. The song titles change, but the game plan remains the same. Investing in bleakness and melancholy has been very lucrative for Sade. Why mess with success now...or learn any new tricks? Track Listing: The Moon and The Sky; Soldier of Love; Morning Bird; Babyfather; Long Hard Road; Be That Easy; Bring Me Home; In Another Time; Skin; The Safest Place. 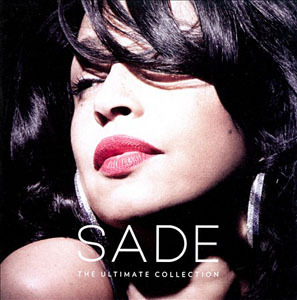 Personnel: Sade Adu: vocals, programming; Stuart Matthewman: guitar, saxophone, programming; Andrew Hale: keyboards, programming; Paul S. Denman: bass; Tom Momrelle: vocals; Leroy Osbourne: vocals; Martin Ditcham: drums, percussion; Pete Lewinson: drums; Everton Nelson: violin; Ian Burdge: cello; Gordon Matthewman: trumpet; Noel Langley: trumpet; Sophie Mueller: ukulele; Ila Adu: vocals (4) Clay Matthewman: vocals (4); Juan James: guitar (5). Sade, a Smooth Operator, sings of No Ordinary Love, and Is That A Crime?